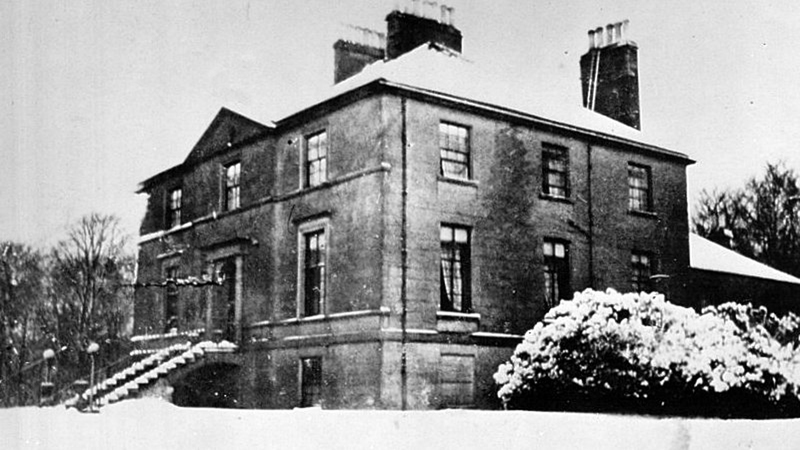 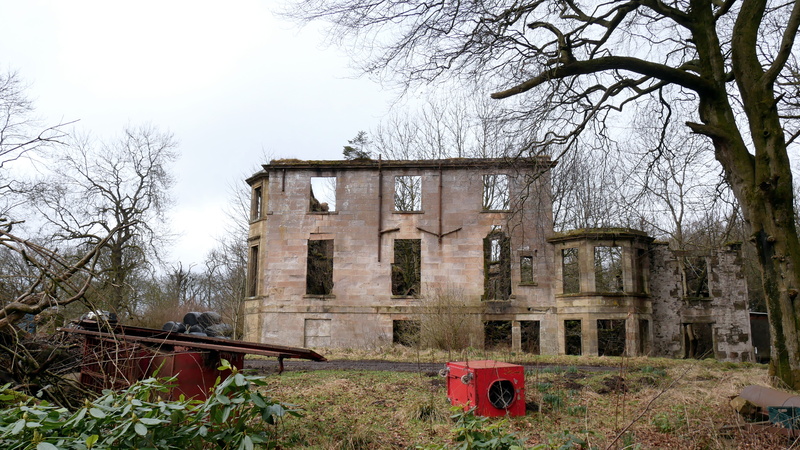 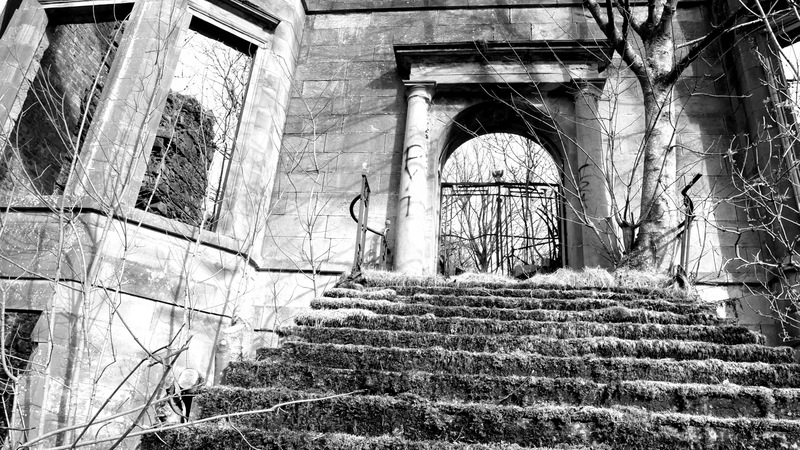 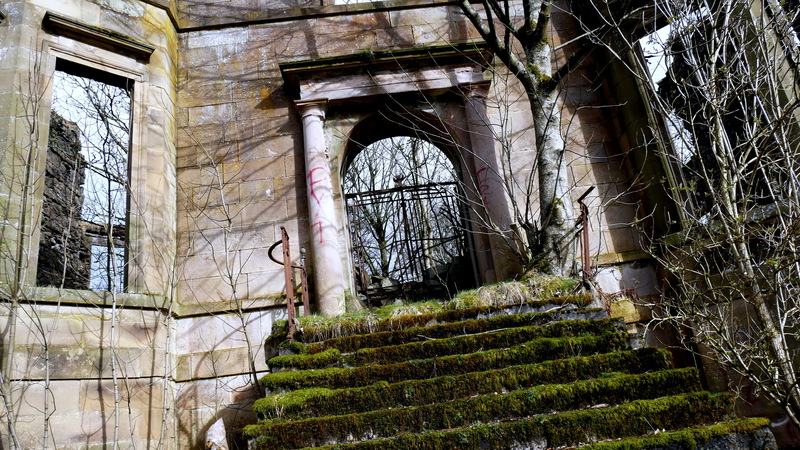 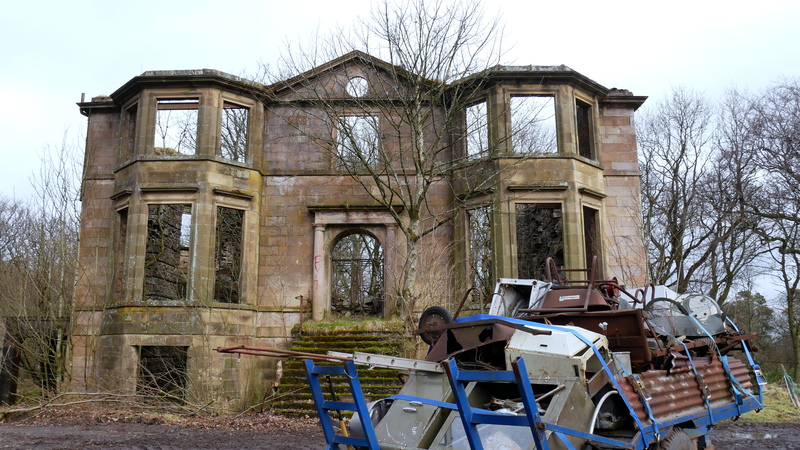 Auchengray House has been a ruined shell since a catastrophic fire in 1937. 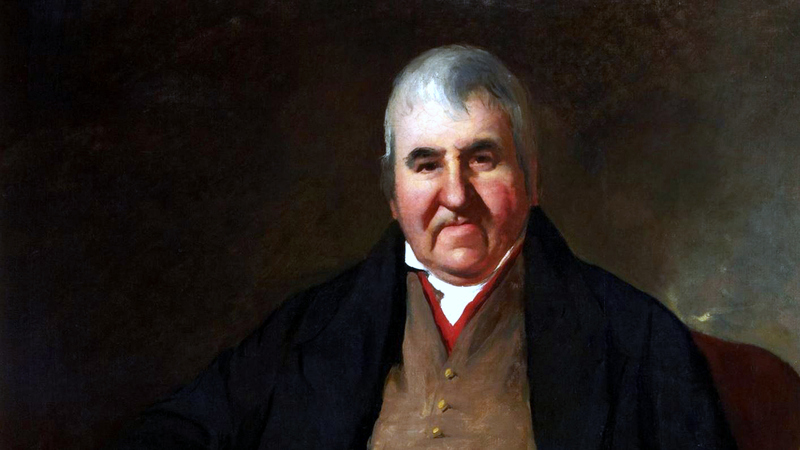 At the time all was going horribly wrong for the multi-millionaire owner, J M Colville. 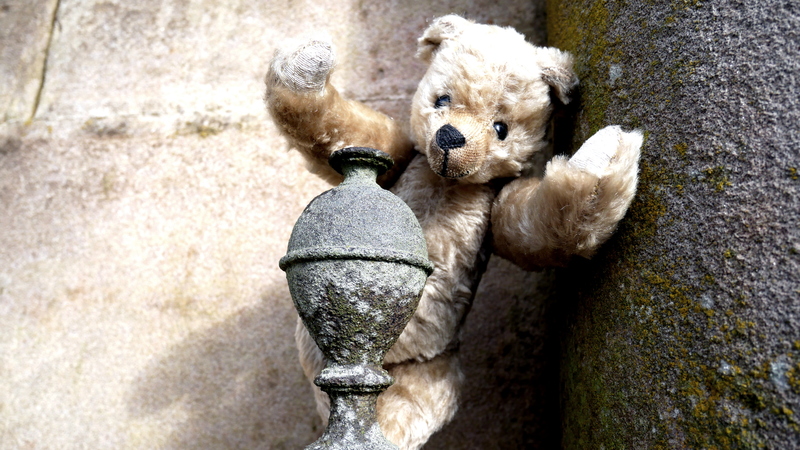 Not only did he lose in the fire his collection of fine antiques and paintings, but not long before the fire his mother had died and then his sister jumped in front to a train. 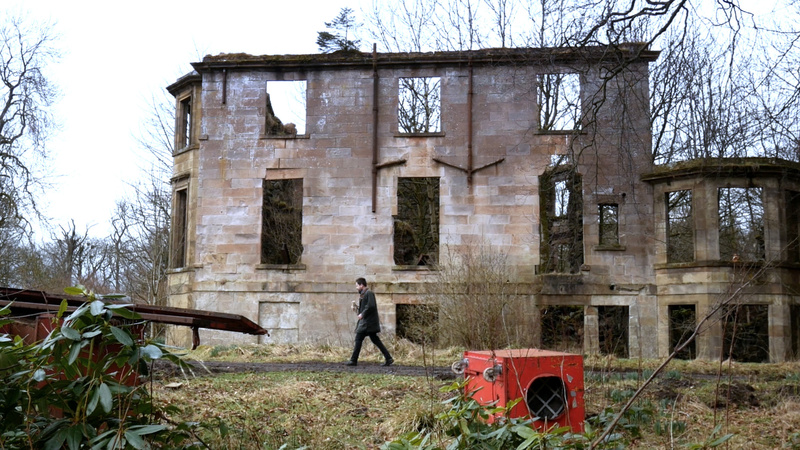 It was this darkness that led to the building of Gribloch, the new hoose, one of light, designed by Basil Spence.